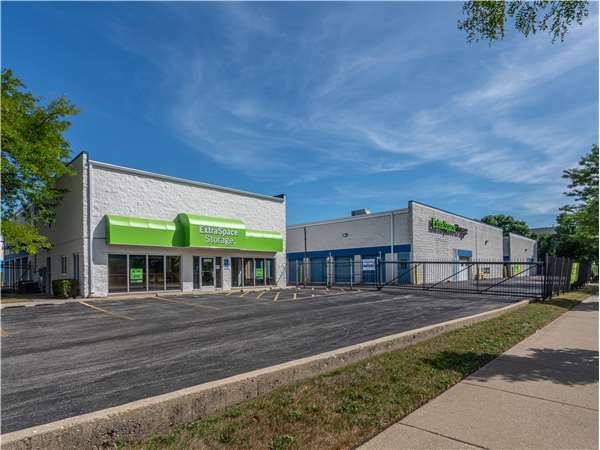 Located on W Devon Ave between N Crawford Ave and Lincoln Ave, Extra Space Storage serves residents of Lincolnwood, Pulaski Park, North Park, West Ridge, Skokie, Evanston, and more. Locals will recognize our facility east of CVS and Dunkin'. Extra Space Storage on W Devon Ave offers a variety of storage units, climate-controlled storage, heated storage, drive-up access, and exceptional security. We're the storage solution for you in Lincolnwood! With unit sizes from 3x4 to 20x35 and unit features like indoor access, first-floor access, and drive-up access, our Lincolnwood storage facility can accommodate both residential and commercial needs! To ensure the safety of our customers and their valuable belongings, Extra Space Storage on W Devon Ave is equipped with security features like electronic gate access and 24-hour video surveillance. Protect sensitive items year-round with either climate control or heated self storage options. Climate-controlled units maintain an environment between 55 and 80 degrees at all times, while heated units ensure your items stay warm when the temperature outside drops during the winter. With drive-up units, unloading and loading heavy items is easy. Simply pull a vehicle up to your unit to move items in and out! Some units with drive-up access can even be used as a garage-like space for car storage, motorcycle storage, and other vehicle storage needs. The friendly, professional team behind Extra Space Storage is dedicated to providing our customers with high-quality, reliable self storage solutions. We work hard to maintain a clean, secure facility at all times, and we strive to provide you with an unforgettable experience. Contact us today to reserve a storage unit in Lincolnwood! Drive south on N Crawford Ave. Turn left onto W Devon Ave. Our facility will be on your left. Drive north on N Pulaski Rd. Turn right onto W Devon Ave. Our facility will be on your left. Drive west on W Devon Ave. Pass Lincoln Ave and continue west. Our facility will be on your right after N Hamlin Ave.
Drive east on W Devon Ave. Pass N Cicero Ave and continue east. Our facility will be on your left after N Pulsaski Rd.